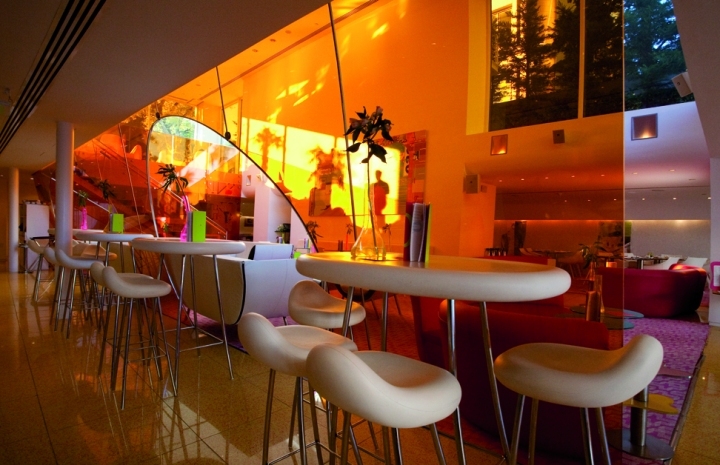 The Hotel Semiramis is the first hotel project of Karim Rashid and it is a fusion of Rashid’s influence and Dakis Joannous’s vision, the owner; the structure is clearly dedicated to the modern art world. It was Mr. Joannou, an eminent collector and the patron of modern art, as well as a qualified architect, who charged Karim Rashid to build a hotel that would be much more than a simple accommodation in Athens. Yes! 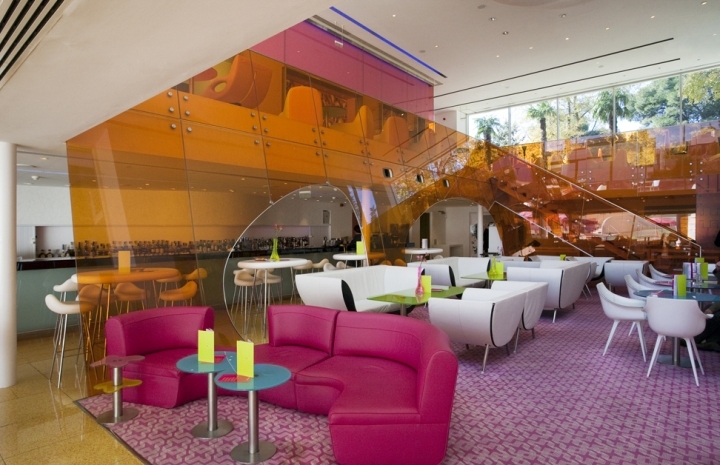 Hotels are gaining a reputation for designing hotels that resemble art galleries. 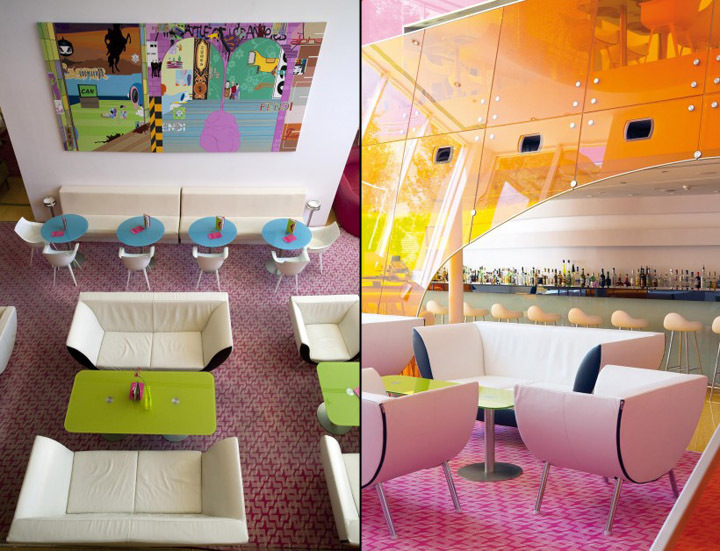 Given free rein to create a total experience, Karim used his signature curvaceous forms and lollipop colours to offer a young, enthusiastic and seductive alternative to more traditional conceptions of hospitality. In this exclusive 51 room hotel, where art blends with modern hotel technology, and functionality exudes style, the educated business or leisure traveler will feel ‘at home’. A bi-annually rotating exhibition of fine art, astounding for its museum quality, will leave art enthusiasts reeling with delight. Located in the affluent and leafy suburb of Kifissia, Semiramis is at the heart of the finest shopping and entertainment venues, also enjoying quick and easy access to the city’s business districts. For further details go to Hotel Semiramis. Design Restaurants Membership Club provides luxury lifestyle benefits and fabulous dining rewards at the most of the UK’s very best restaurants. For details of membership or to download our fine dining app please go to www.designrestaurants.com.